When you need some stylish shirts to wear to a club, you need high collar shirts by Axxess. Axxess is a club life leader when it comes to stylish button down shirts for the primary purpose of wearing to the Club on a Saturday night. 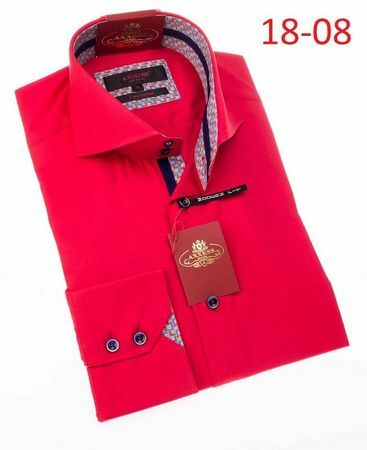 This red color high collar shirt features a double button style cuff that is pure fashion that you can wear flipped up or buttoned down. Made in Turkey.